My father was Ivan Strickler, one of the men who led the charge to create a national dairy promotion checkoff in the early 1980s. 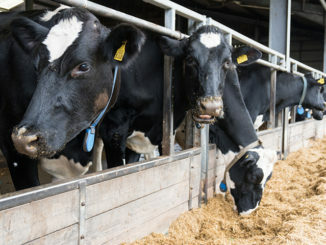 Instead of a loosely-connected series of checkoffs, he saw the value of having all dairy farmers – like himself – contribute to a single, national program that would work to create demand for dairy at a time when we had a large surplus of milk. 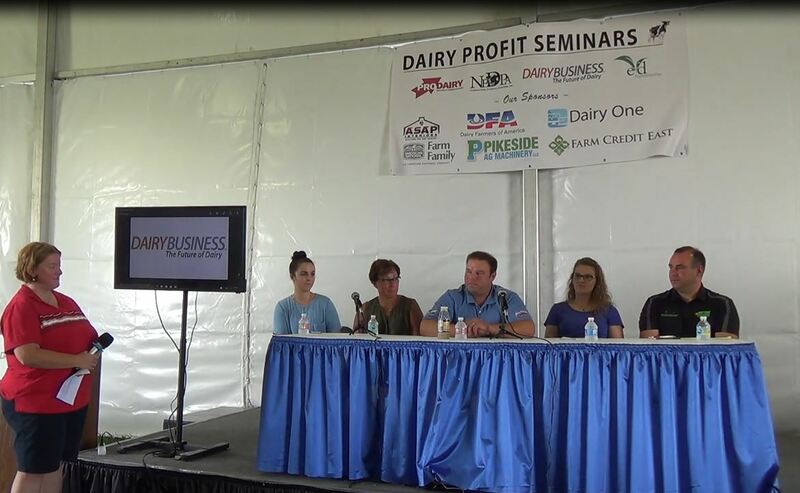 A program that could benefit all U.S. dairy farm families. Dad was very busy running our farm. But being president of the Mid-American Dairymen co-op and the Holstein Association kept him just as busy off the farm. 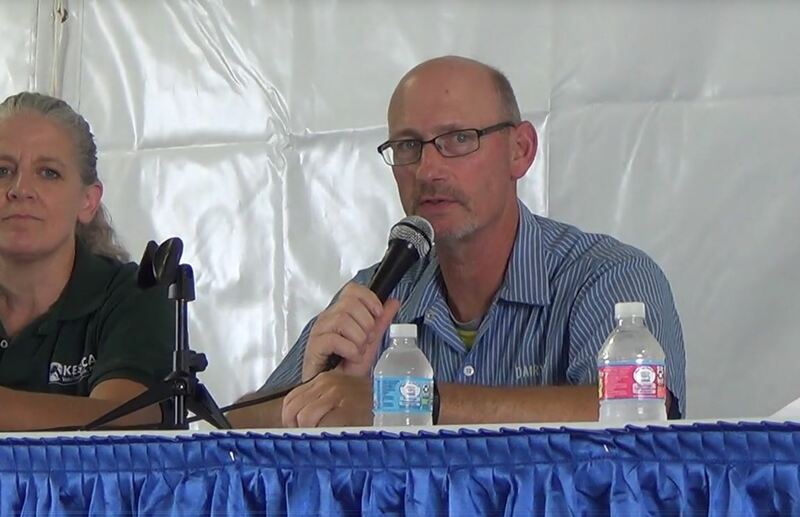 Then came the checkoff, which he was equally as passionate about – he was passionate about all things dairy – and before long he had a hard time devoting the time he wanted to the farm. So, I returned to the farm in 1978 from my time as a journalist to run the business in partnership with my two brothers. That gave my father more time to devote to programs that might help more dairy farmers, including the national promotion checkoff. In 1983, President Ronald Reagan named my father chairman of the brand new National Dairy Promotion and Research Board, a position he held for five years. The formation of the board was not without controversy and he had many long conversations with farmers who didn’t see the value of the concept. But my father was a visionary and kept pushing for the self-help programs to move more milk. The early days of the national checkoff were tough. Dad had to convince farmers it was worth their investment, which wasn’t easy. Running ads seemed to help as it showed farmers something was being done. Telling our funders about the value of their contributions has always been a tough job. He was very proud of the first “got Milk?” TV ads that the checkoff licensed for national use from the California Milk Processors Board and MilkPEP in the early 1990s, long after he had left the checkoff board. He knew farmers liked seeing their dollars spent on popular ads that captured the public’s attention. I was now very busy on the farm and – like many dairy farmers – not paying too much attention to the checkoff. 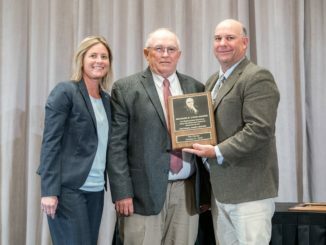 But over time I was named to the Dairy Farmers of America Central Council and the Midwest Dairy Missouri-Kansas promotion board where I was exposed to more of how the checkoff was working. This was a different checkoff than my father had been overseeing and it had evolved as the times had changed. As I learned more about today’s checkoff, I realized my father would be as proud of what we’re doing as he was of the ads from 25 years ago. Today, we have checkoff staff working inside the offices and kitchens of partners such as McDonald’s, Domino’s, Taco Bell, Pizza Hut and others, here and around the world. My father also was an early advocate for exports. He saw that the world population was going to exceed ours and that the American dairy farmer was a low-cost producer. A lot of people argued against developing an export program, but today – with the help of checkoff-sponsored U.S. Dairy Export Council – we are exporting more of our growing production than ever. Ads are fine and I know farmers like to see them. But I’d rather have us influencing the products marketers are selling to their consumers, letting those partners spend their own money selling the products. I see that as a smart way to invest our checkoff investment. Today we understand more about what consumers want and are working with partners to provide those products for them. I know my father would approve because it’s more effective than just telling people how good dairy is for them. That’s part of our message, but it can’t just be done through generic advertising. My father used to talk to us about being dairy farmers. “First, be a good neighbor,” he said. And for years we have been inviting the community to our farm to see how we work and the care we give to our cows and the environment. In 2013, our milk barn caught fire and we had to move our cows to other dairies. The community supported us throughout this stressful period, showing their concern that we continue milking by asking how soon we’d be back up and going. That was a sure sign that we were doing the right thing by rebuilding. 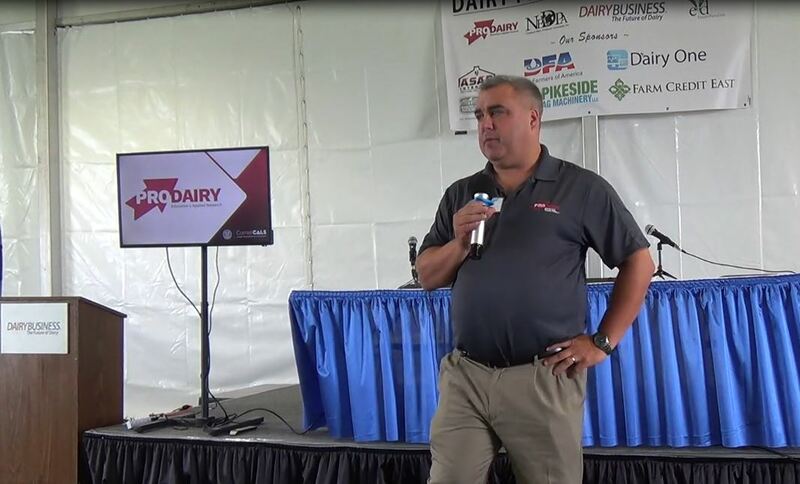 As dairy farmers, we always are learning and adapting; so is the checkoff. It is working harder and smarter than ever. When I was 16, I was sure I knew everything. But the older I got, the wiser my father became. Turns out he’s the smartest man I’ve ever known. Steve Strickler and his family milk 400 Holsteins in Iola, Kansas. For more information about the checkoff, go to www.dairy.org. Contact us with your thoughts and questions at [email protected]. Many of us remember well Ivan as a pioneer in the dairy co-op world and dairy promotion. I have his autographed book that chronicled his extraordinary efforts to lead dairy forward. Steve, your analysis of dairy promotion’s progression from ads to more behind the scenes efforts with large retail partners etc is spot on. I personally think our increased efforts in exports will in the long run prove to be a good investment . Thanks Steve, keep up the good work.